I wanted to do something to get my girls into the Thanksgiving mood… You know, the attitude of gratitude. So I thought it would be fun to make a turkey. We’ve been reading a Thanksgiving book I found at the thrift store, A Plump and Perky Turkey . This goes perfectly with the book. This turkey has the same concept as my Thanksgiving garland last year. 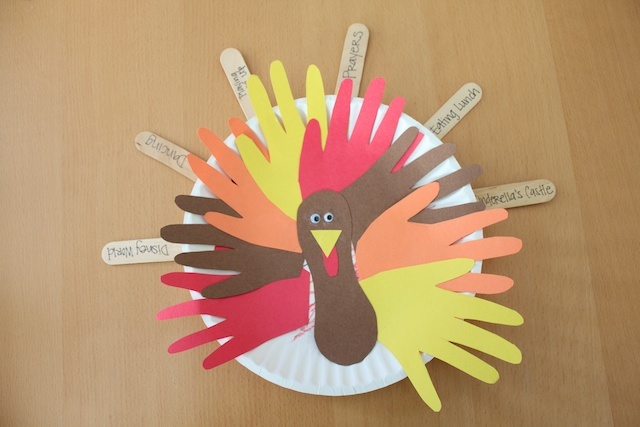 The girls had a fun time making the their turkeys and coming up with things they are grateful for this year. I had them each come up with six things they are grateful for this year then wrote it on the popsicle sticks that are stuck to the back of the turkeys. I like keeping things like this to remember what they were like at this age. 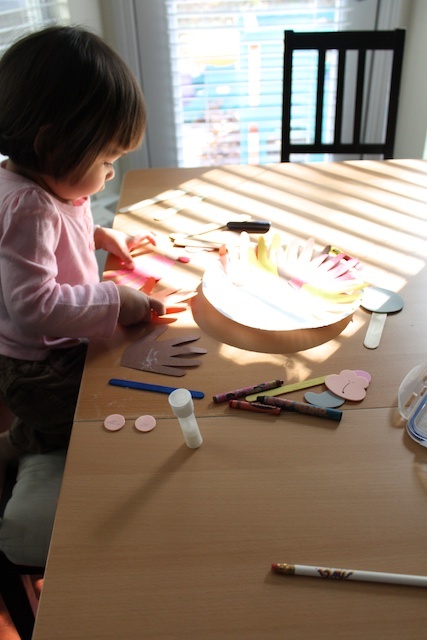 This is a really simple craft that even my 21-month-old was able to do. And if you make anything inspired by Simply Modern Mom, please upload pictures of it to our Flickr group to show it off to everyone. You may be featured on Simply Modern Mom. 1. 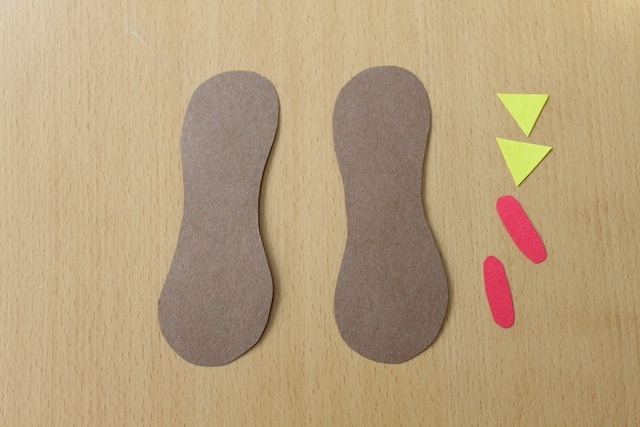 Cut out the following shapes. I just freehand these. This is for the turkey’s body/face. If your children are little, make sure the adults are doing the cutting. 2. Ask the children to write things they are grateful for this year. We did six things per person. 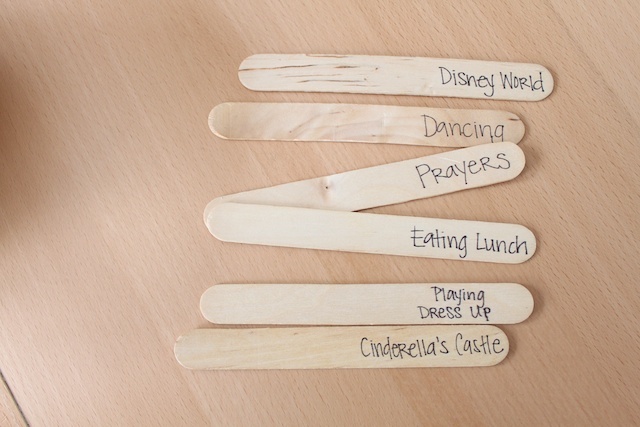 Write each thing down at one end of the popsicle sticks. 3. 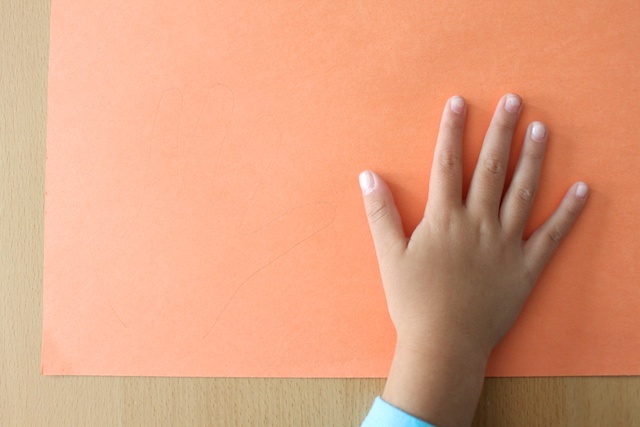 Trace the child’s hand onto construction paper. Do two per color on four different colors. 4. Then I had the girls color the paper plates with crayon while I cut out all their hand prints. 5. 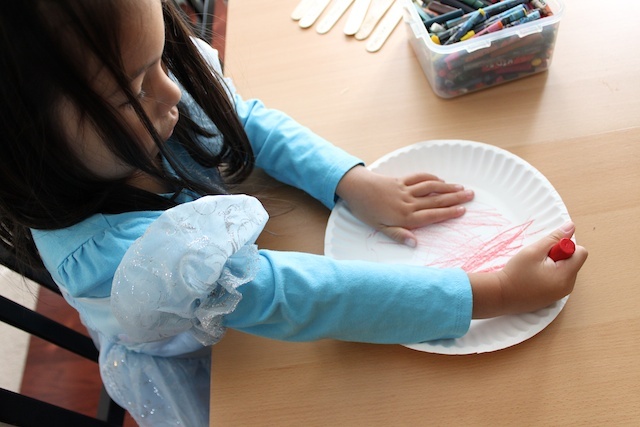 Applying glue to the palm of the paper hand prints, clue them fanned out on the paper plate. Leave an opening for the turkey’s body. 6. 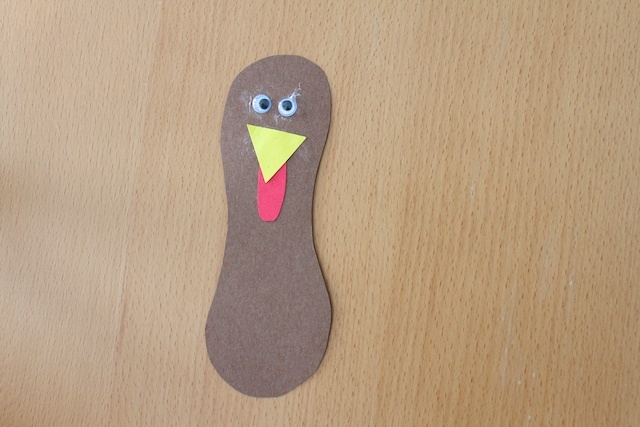 Glue the facial features onto the turkey’s body. Part of the wattle (the red dangling part) is tucked under the beak. 7. 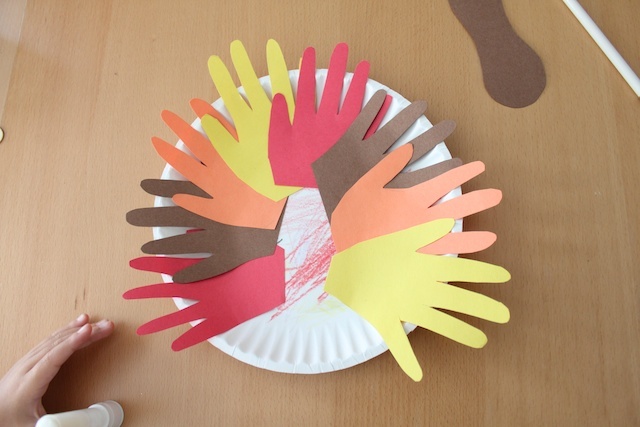 Glue the turkey’s body onto the plate in the middle of all the hand prints. 8. 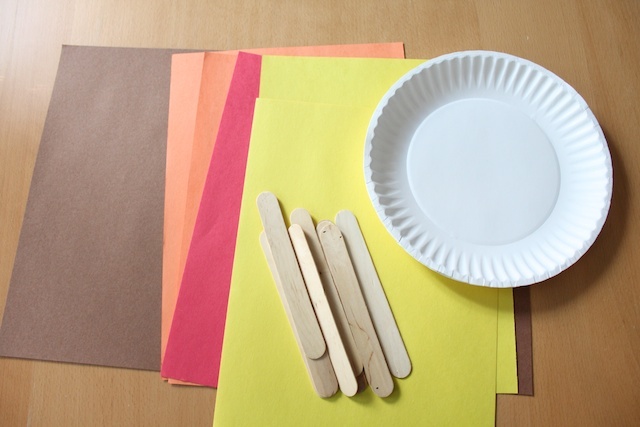 Glue the popsicle sticks to the back of the paper plate with the words showing above the plate. And done! 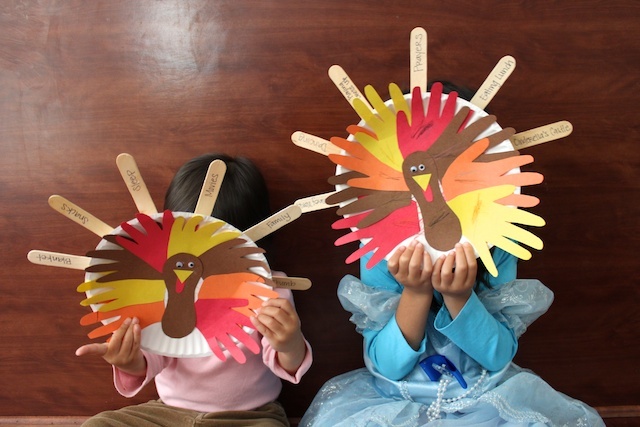 » Tell me… What are some Thanksgiving crafts you like to do with your children involving writing down what they are grateful for this year? wow I really love crafts like this. I sort of cannot wait till Sae gets older so we can do things like this. 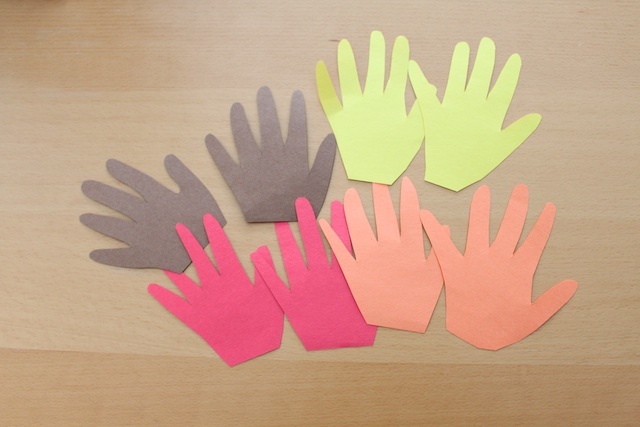 This is such a fun craft to do with the kids. I just might have to make this with my daughter. We just did this today and it turned out really cute. 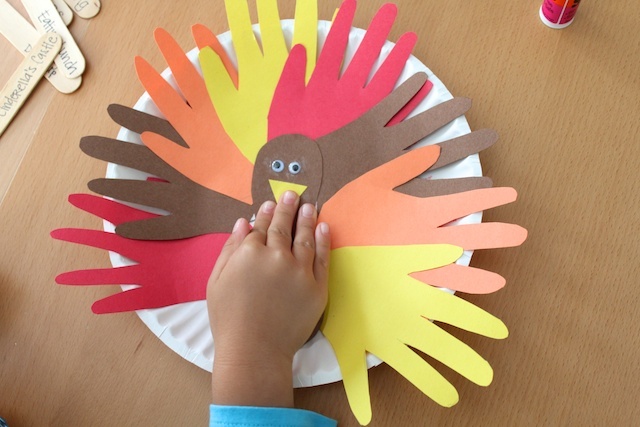 We were going to try the leaf garland but my kids really wanted to do something where they could make their hand cut-outs into a turkey. I love that it is a way to archive the things they were grateful for this year. Hi! So glad I found your blog. I made this craft with my daughter right away. It’s so cute and fun. I wrote about it here and posted a pic to the flickr page! Thanks so much for sharing the idea!! that was the cutest turkey every. thanks for sharing the photos with me. i loved it. Oh dear, I accidently pasted the link twice. I thought I deleted the long one with the google feedfetcher. So sorry about that! What a cute idea! I’m going to use it in my classroom! This is a great idea! I’m thankful for lunch too. =) I’ll be linking.